cargo-partner is continuously expanding its portfolio of supply chain management solutions and now offers a dedicated Purchase Order Management service. With this new service, the international transport and info-logistics provider helps ensure that shipments arrive on time and in full – no matter what transport providers are involved. A lack of transparency in procurement can lead to a high communication and administration effort, which also means additional costs. To meet these challenges, cargo-partner has introduced a Purchase Order Management service with which the logistics provider offers its clients comprehensive support starting from the point of order placement. Based on the client’s requirements, the cargo-partner Purchase Order Management service covers all areas of order and supplier management: from communication with suppliers to efficient transport consolidation, quantity and quality checks as well as data and document management. cargo-partner takes over the entire follow-up with suppliers to ensure that the agreed delivery deadlines and order quantities are met. If a shipment is delayed or the delivery quantity changes, cargo-partner can adapt transport planning according to the customer’s requirements to find the most cost-efficient solution in any situation. The new Purchase Order Management service is supported by the supply chain management platform SPOT, developed by SPOTworx. The cloud-based platform provides full transparency and easy collaboration for cargo-partner’s customers and clients. SPOT simplifies the vendor management process by means of automated reminders and notifications to eliminate ‘blind spots’ in communication. cargo-partner has been using the SPOT platform for its transport management since 2000. SPOT enables cargo-partner to offer its customers seamless shipment tracking, simple communication and document management as well as comprehensive reporting. 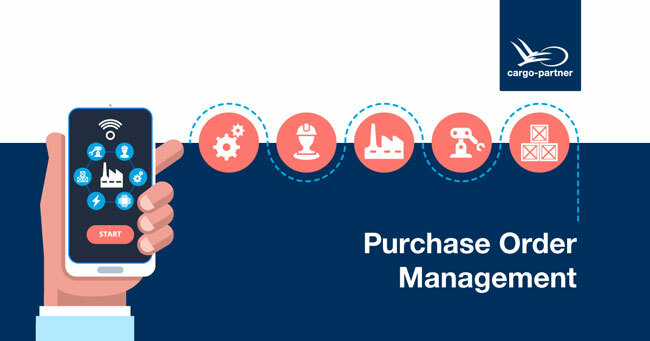 With the SPOT platform’s Purchase Order Management module, these features can be used in the areas of purchasing and production as well.